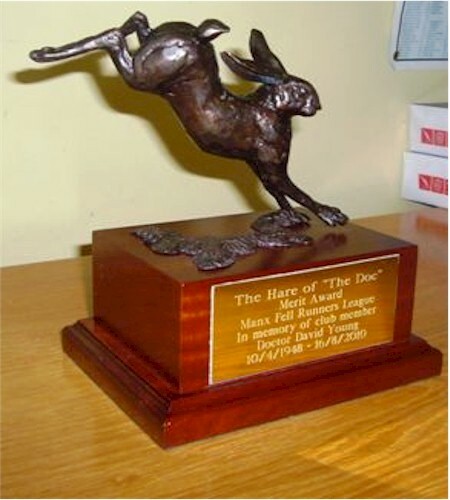 The Doc Young (Hare of the Doc) Trophy is a merit award given to someone who has completed the Fell League and the MFR committee decides is worthy of special merit. 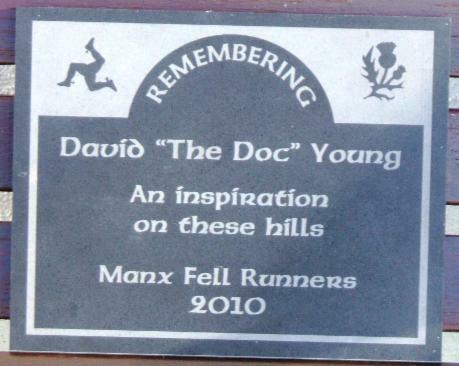 The award will be presented every year following the New Year's Day Fell Race. This, the first year, it was won by Paul Killey. Paul is a regular competitor and although not yet at the front of the field always encourages others and thoroughly enjoys his fell running. The slate plaque will be incorporated into the cairn on top of Clagh Ouyr, which was one of the Doc's regular training routes. All those runners who reach the summit will remember him for the great man he was.